Are You Aware Of These New Airline Regulations? Some airlines have set up new regulations on how and where you can carry batteries when flying. Although you should check your airline to see if these rules apply, I would assume these regulations will soon apply to all airlines and flights. It can get a bit annoying to prepare for a flight, but after all, this is a safety issue. Personally I’d be happy to go through a bit of extra work to prevent any accidents on flights. Photographer Ryan Cooper received instructions in regards to batteries, when he was preparing for another trip. This one rather surprised me but it seems to be out of some sort of fear of the batteries leaking or causing a fire. Perhaps fear related to Samsung’s recent battery problems in their phones. Who knows? The rule is rather simple. Batteries installed within devices may be checked in your luggage as usual but batteries that are on their own cannot be placed in checked baggage. Naked batteries, however, are still allowed in carry-on with one caveat. There must be no risk of their ends ever touching the ends of another battery. The airline I flew with addresses this problem by demanding spare batteries be packed in one of four ways. The batteries are still in their retail packaging. The batteries have the connectors on either end completely covered with tape. The batteries are stored in a protective battery container. Read the full article over at Fstoppers. This is nothing new when it comes to lithium ion batteries. I am a professional photographer and certified safety professional with over 30 years of experience. I often shoot in highly dangerous environments. Often around caustic, flammable and combustible materials. As a result I have to conform to a minimum of Class II, Division 1, Group G hazard restrictions. 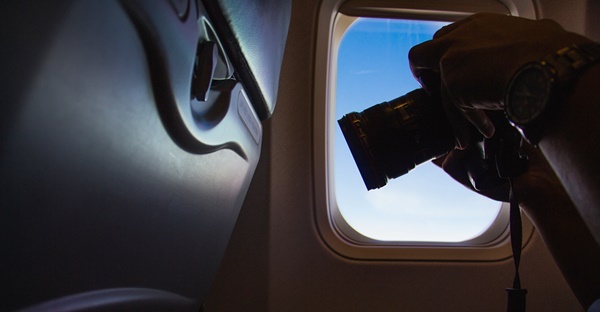 With that in mind, ALWAYS and ONLY use manufacturer authorized batteries for your cameras, devices and equipment – even your Bose noise canceling headphones while flying. Aftermarket batteries are very cheap and attractive. It’s not a case of if they will fail, but when the will fail. And, they WILL fail. In many ways, I’m surprised the airlines and TSA are not inspecting devices for counterfeit batteries. You sound like an absolute lunatic. Get a grip. I agree with you, I have always used after market battery’s with out issue, no failure after years of use. He sounds like he has been brain washed to use genuine products, even tho they can be made in the same factory. I have travelled the world intensively and use mostly after market batteries for my Canon 5D Ii’s. No issues ever. Just because a battery is manufactured and sold by a company other than the OEM branded ones does not make it “counterfeit.” There are reputable 3d parts batteries and some that may not be so. Actual counterfeit batteries, bearing markings of the OEM manufacturer are an entirely different matter. I suspect a fair number of these are, as you describe cheaply made. There is a similar counterfeit problem with storage media which is why many suggest buying your cards from known reputable sources. While in China last year, security was inspecting every camera and pulling off brand lithium batteries from cameras. I use the big tic tac mints containers to store my DLSR batteries. Hopefully they satisfy #2. The batteries each are in their own isolated container. (Such as wrapping each battery in cling wrap) & #4. The batteries are stored in a protective battery container. So do they allow you to take your DSLR camera w/battery inside battery compartment in carry on luggage? Yes. I took mine in its case in my carry on and it was stored in the overhead bin the entire trip. This is vastly over-stated and several of the points are incorrect on the F-Stoppers article. The only new part of the law is that lithium ion/polymer and lithium metal batteries have to be carried in the checked baggage. It doesn’t apply to either NiMH or NiCad batteries, nor does it apply to any other types (such as akaline AA or AAAs). Also, the batteries simply have to be protected from damage or short-circuit – they do not HAVE to be stored in separate containers or have the ends taped, contrary to what this article claims. The new section can be seen in bold. These rules are not new. They have been in existence for at least the past three years and have nothing at all to do with the Galaxy Note 7. These rules apply specifically to Lithium batteries and vary depending upon the watt hours and amount of Lithium contained in the battery. A quick search on the TSA website will tell you everything you need to know about traveling with Lithium batteries. I got an aftermarket battery for Conon EOS. A waste of $25. Piece of crap. You get what you pay for. Derp, your reply to David Hundley seems a bit extreme. Do you really think his post required such a caustic statement? I have had poor performance from aftermarket batteries from seemingly reputable brands (Delkin); they have not been able to hold much of a charge, and not for long. I’ve not had issues flying with extra batteries in my bag, but have not been on a commercial flight for over 3 years so I don’t know what the airlines are doing now. I had a number of AA batteries, rechargeable and regular in plastic storage containers confiscated in Cairo from my carry on when returning from Egypt. No problem taking them. I tried to point out that they were not lithium and under no restriction, (even on the posters at the airport)to no avail. Used these for underwater strobes and lights. Really annoyed me, especially the cost of replacing rechargeable. I guess I should have just put them in checked bags like you are not supposed to.